Did you join us this year? and although today is the last day of projects......the classroom will still be open. Ive loved taking part again....its like a real tradition....it wouldnt feel right without an @home workshop to get me in the creative festive mood. 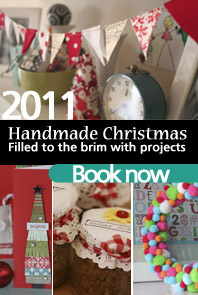 You can see a peak of one of my projects in the bottom centre... snuggled in amongst the other scrumptious'ness.